INCOTERMS 2010 – EXW (Ex works), DAP (Delivered at place). 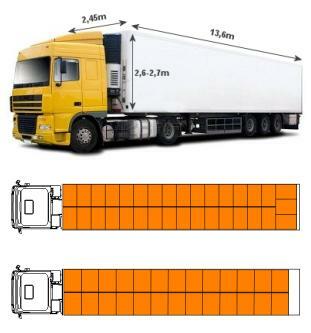 MOQ (Minimum order quantity) is 1 ton. We are looking for distribution partners in Finland, Sweden, Norway, Germany and Netherlands. We sincerely hope that selling BioHansa™ product range will be one of the most enjoyable and profitable parts of your business. To expedite the process, please fill in contact form or send us an email. 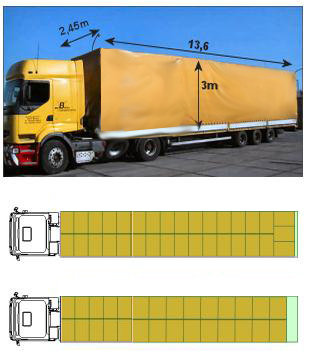 Illustrations from the top to bottom: a semi-trailer dimensions, trailer loaded with EUR pallets and trailer loaded with FIN pallets. 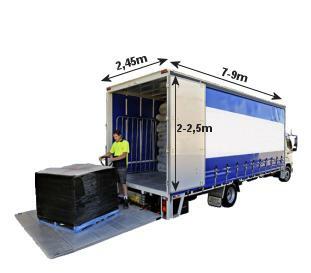 Illustrations from the top to bottom: a mega-trailer dimensions, trailer loaded with EUR pallets and trailer loaded with FIN pallets.